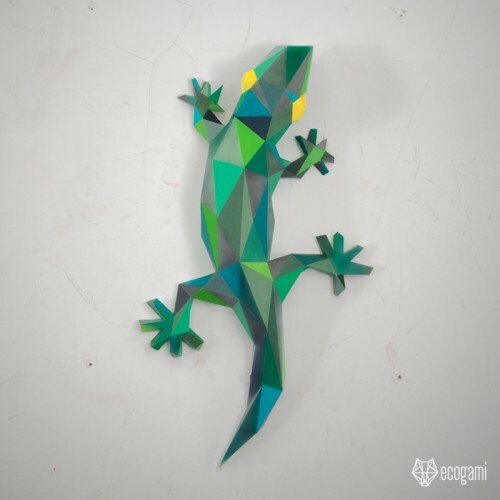 Make your own paper gecko with our printable PDF template! It’s easy! Just follow the instructions & you will be proud of your low poly exotic lizard. Isn’t it a nice & unique wall mount decor for your sweet home or even a gift for a nature lover? ► Difficulty Level: Medium – This model is quite quick (only 6 A4 pages) & easy to assemble. However, as it has small cuts & folds which require more precision (especially in the fingers), I put medium level.